The rumour of Red Bull’s interest in taking over a Premier League club was perhaps the first time Aston Villa supporters gave serious thought to the possibility of the renaming of the club (certainly the supporter who created the below badge did). While the renaming of a club like Aston Villa is thankfully a far-off notion for now, the renaming of Villa Park or the individual stands at least, looks like it could happen sooner rather than later. 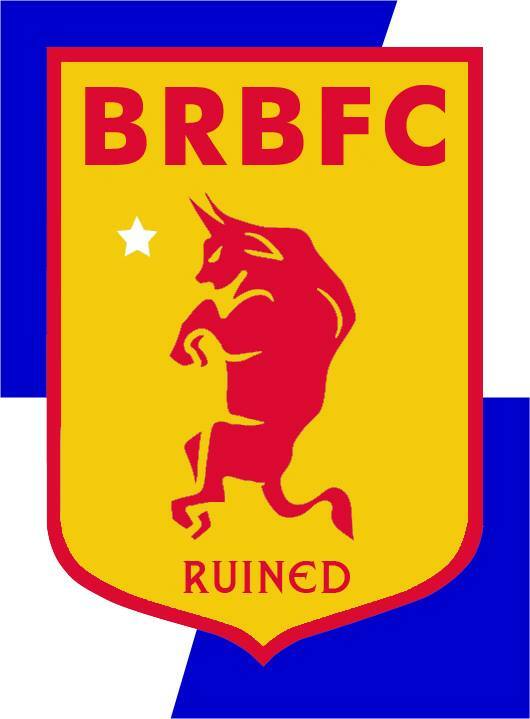 Birmingham Red Bull Football Club? After the ever-increasing media revenue the club is privy to in the Premier League, the next financial draw to any buyer of Aston Villa is the potential value in the naming marketing rights to Villa Park. Such rights are available to the stadium and it turns out they are being highlighted in the sales brochure of the club to prospective buyers as a unique selling point How will Aston Villa supporters feel about such a change? Should we be privy to any eventual decision to change the name of the stadium? Any potential buyer will have the choice of renaming the stadium themselves or selling the rights for external sponsorship. Such a name change is always easier to manage when it comes with a new stadium ala Arsenal, Manchester City or Bolton, but in the case of Newcastle’s St Jame’s Park, the name change to the ‘Sports Direct Arena’ understandably lead to supporter outrage. A fact that no doubt later influenced Wonga.com’s decision to score some brownie points with fans by changing the name back to St James Park, when they paid for the stadium naming rights as part of their overall sponsorship package. If Villa supporters want to uphold tradition and keep the Villa Park name, they will certainly have to make their voices heard. If the club want to sell the naming rights to the Doug Ellis stand, I’m all up for that, but they can forget the Holte End. The eventual sale of the club will result in change in one way or the other, so it’s important as supporters to be aware and ready for any potential eventualities. The new owners can call it what they like as long as the investment is there. It will always be Villa Park to me. As I mention in the post, the best case scenario could be what happened at Newcastle with Wonga. They paid for the naming rights, but elected to call it St James Park to please supporters. So a win-win situation.